COACH CUTCLIFFE: This open date has obviously come at a good time for us with the number of injuries that we've had to starters. We still, right now, have six out that will return. We've got both Mark Gilbert out for the season and Marvin Hubbard. But it's come at a good time. And also obviously at a tough time, when you get beat and you go into an open date, sometimes the reaction that you have can be panic. And this team's not that way. I think this team understands it's got to play well to win but it knows how to go about its business. And we've practiced really well to this point. We'll practice again tomorrow and give them the weekend off and then start preparation for Georgia Tech Sunday evening. Q. Ricky Walker didn't pop off the stat sheet Saturday night. But you made a point to praise him in your postgame remarks. What makes him so difficult to block? 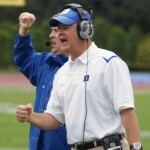 COACH CUTCLIFFE: Well, he's obviously -- he's really strong. He's big. Not necessarily tall. But you know he's just a big upper-bodied guy that has extreme quickness. He has great hands. So he's a penetrator. He's what I call a disrupter. Anybody that can penetrate your line of scrimmage as much as he's done against us, he certainly has given us many problems. I think there's no question he's an all-conference performer and I voted him that way every year. Q. I know it's early in the conference season. Do you suspect that the parity this year is just as strong or maybe even stronger considering the rise of Syracuse and BC and your team, too? COACH CUTCLIFFE: Yeah, I think in 11 seasons that I've been in the league, that this is as balanced as it's been, but it's been coming this way, and more and more so. There's not a game anybody's going to play that you're going to ignore anybody; that you can ignore as a game you already got it in the left-hand column. You've got to play well. And you're going to have to play hard for 60 minutes. And we didn't play well Saturday. And Virginia Tech did. People kind of looking at what happened. We got beat. That literally was the fact of the matter that they just played better than we played. And I thought we had prepared well. And when this parity in this league -- I told our team, welcome to the next seven games you're going to play. Every ACC game is going to be the same. It's going to require that you play as well as you can possibly play. Q. I know after the game you talked about the frustration of not being able to run the ball as consistently as you had last week. When you look back at the tape, was that something that they did, something that you did, and how much of an emphasis have you placed on trying to get back to more consistency in the run game during the bye-week practices? 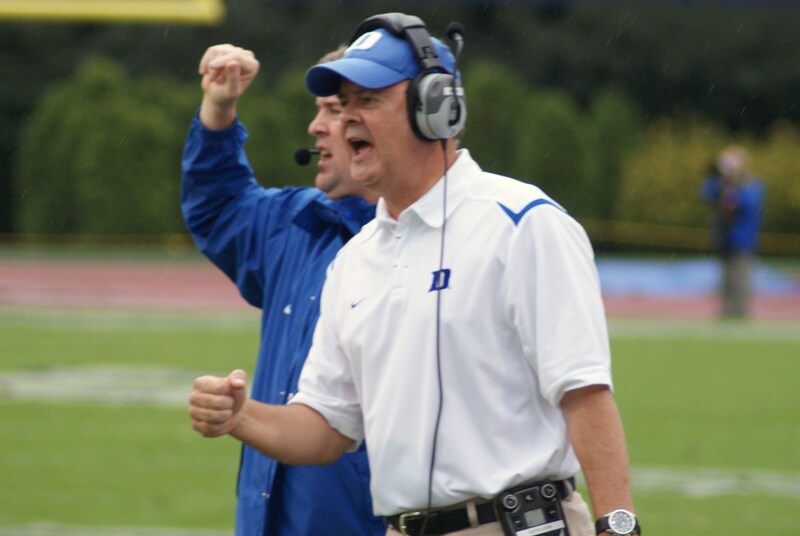 COACH CUTCLIFFE: I think probably the most (lost audio) there was a lot of eight-man coverage that they were playing. We couldn't run the ball. There were various reasons. Everybody takes credit, but it starts with me. You gotta schematically do things right. And that's my responsibility and we didn't do that as well as we should. Then you have to physically win some battles. And at times we weren't doing that as well as we could. We got really good byes and we're better in the offensive front. But to run the football, what you have to do is be consistent. And that means everybody. That means quarterback making the right decisions, that means the head football coach making sure we're in the best position possible to get it done and then all five linemen at tight end usually somebody involved, also receivers. I told our team: This open date next week, next week, a lot of that (indiscernible) football is just doing one thing and that's blocking well. And so we've got to continue to grow in that regard as well. Q. Just reevaluate your team after the first five games, what did you like and what (inaudible) your team? COACH CUTCLIFFE: We love the resiliency of our team. We love our team speed. It's very evident that we've got a lot of people that can run. We've been consistent for the most part all year long. We're not going to let one game -- we didn't play as well as we could have played in any form at Virginia Tech, but we didn't play awful. They just played extremely well and we didn't play well enough. I think our team can find a way to be consistent. We've got a lot of weapons on both sides of the ball and we've got outstanding leadership.